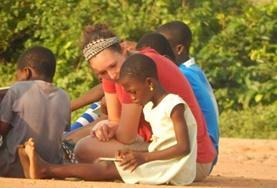 Ghana is an exciting and popular place to spend some time on a volunteer project or work experience placement. 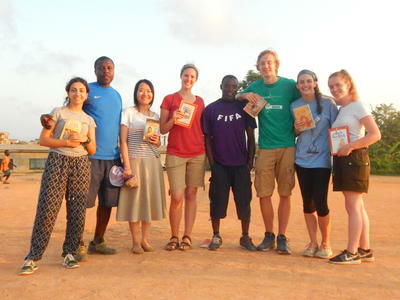 Our voluntary projects in Ghana are available for anyone interested in volunteering in the developing world, including those on a gap year, career break or as summer work experience while studying. 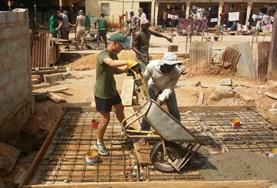 Volunteers in Ghana work on a wide range of projects including Agriculture & Farming, Teaching, Care, Community – including Building and IT Projects, Medical & Healthcare Projects – including Medicine, Physiotherapy, Nursing, Midwifery and Dentistry, plus Journalism, Veterinary Medicine, Sports, and Human Rights. 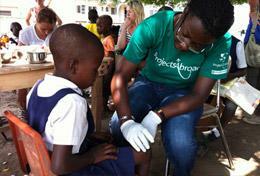 Projects Abroad has many projects available to volunteer in Ghana, based in Accra, Cape Coast, and the Akuapem Hills. In and around Accra, Ghana’s capital city, we offer overseas voluntary work opportunities in print and broadcast journalism, sports clubs, care centres, veterinary practices, public health and our very own human rights office. 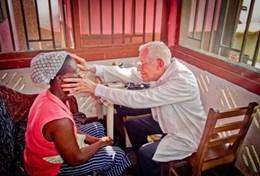 Most of our medical volunteer projects are based in Cape Coast, and the Akuapem Hills (a more rural location) hosts the majority of care and teaching projects, as well as building, micro-finance, animal care and veterinary projects. Ghana is an intensely colourful land on the West coast of Africa. The former British colony is renowned for the friendliness and warmth of its people. 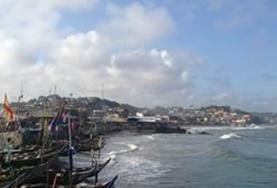 Ghana has great beaches, wild savannah and dense rainforests. This English-speaking country provides volunteers with a wonderful introduction to Africa; it is politically-stable, safe, affordable and rewarding to visit. 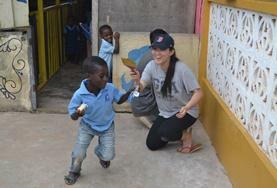 All Projects Abroad Ghana volunteers live with local host families. 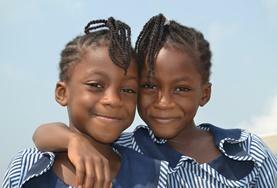 The combination of Ghanaians' strong religious faith and hospitality makes living with a family a special experience. African traditions, combined with British influences, have produced an exciting modern Ghanaian culture – open, musical and diverse. Although Ghana is a poor country, in recent times it has attracted new money and many Ghanaians are now returning home from abroad, bringing new investment and ideas with them. Certainly, life in Ghana will enable you to encounter some unusual situations, from the unpredictable electricity and water supply, to seeing even the poorest families dressed up in their best clothes for church on a Sunday morning. You will also need to adapt to the bizarre and the unfamiliar, whether it be the car-shaped coffins or the banku and fufu you will have for lunch. 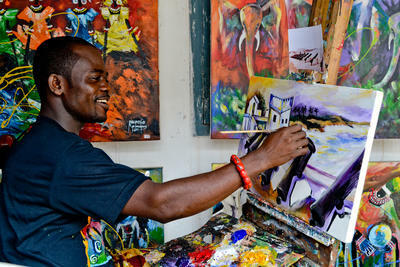 Living in vibrant, colourful Ghana will feel like an explosion; an enchanting sensory overload. Music is a central part of Ghanaian culture, so in the bigger towns - especially Accra - you will hear some great live bands and have some memorable nights out. There are many attractions and places to visit. You will want to see the old slave forts and visit the rainforest at Kakum Rainforest Reserve, feed wild monkeys at The Boebeng Monkey Village or elephant watch at Mole National Park. Travel across Ghana is cheap and easy, whether it be in a taxi, a tro-tro (a sort of minibus) or on a lake boat. There are clean, affordable places to stay and eat in all the main towns. 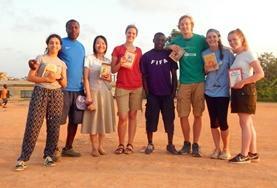 Volunteer in Ghana for a superb location to bird watch and Ghana is developing a good ecotourism philosophy. It’s also an interesting place for history lovers and, once your overseas voluntary work is over, it’s a great stepping-off point from which to explore West Africa. 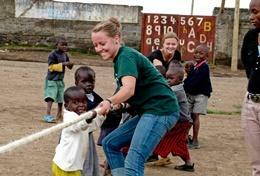 Get involved and help improve conditions for children in Ghana. 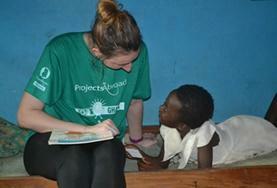 Volunteers can work in day care centres, care homes, with disabled children, or with those suffering from HIV/AIDS. 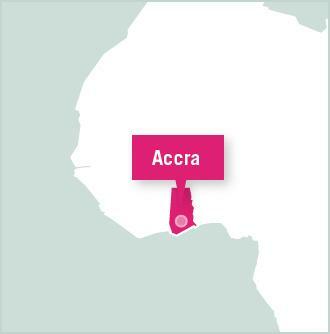 Work in the city of Accra on a vital HIV/AIDS control programme, taking part in community outreach and counselling sessions, as well as assisting in a hospital laboratory with testing and diagnosis. Work for a daily publication, television station or radio station in Ghana and further your experience in the notoriously competitive world of journalism. You will greatly enhance your CV. 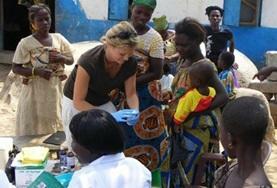 Work alongside local staff to identify communities and individuals in need of assistance. Areas that you may get involved in include domestic violence, offender's rights, child trafficking and child labour. Work in local law firms or at the Ghana Legal Aid Scheme and have the opportunity to resolve complaints and specific issues for people revealed as victims. If you are looking to do your Dentistry Elective in a country other than your own then this placement may be perfect for you. You can work either in a large hospital or a rural area. 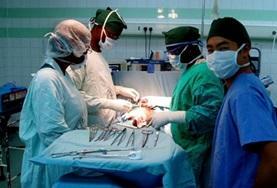 You can choose to undertake your Medicine Elective in a number of different departments in a Ghanaian hospital. Local staff will work with you to develop a schedule to support your studies. Develop your skills through a Nursing Elective in Ghana and assist in the treatment of various medical conditions you would not normally see in your home country. Support pharmaceutical care services in a teaching hospital while learning from trained local staff about healthcare practice in a developing country. 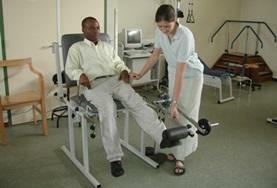 If you are looking for a Physiotherapy Elective placement in a vibrant and culture rich country then choosing Ghana may be the perfect destination. You will work alongside knowledgeable local staff. This project aims to assist the most vulnerable groups in Ghana, giving them the kick start that they need in order to become self-sufficient and independent. 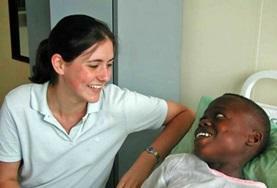 Volunteer at a hospital in Ghana and spend time in a number of different departments including paediatrics, maternity, accident & emergency, surgery and physiotherapy. Work in a range of maternity settings when you volunteer as a midwife in Ghana and gain insight into how local procedures and patient support are carried out. 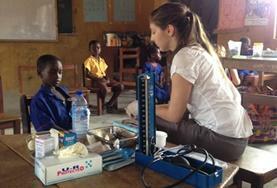 Volunteer in Ghana and gain a fantastic insight into how local procedures and patient support are carried out in a developing country. 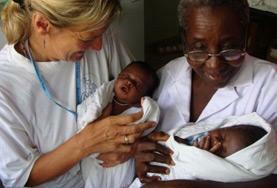 Volunteers may work in a range of maternity settings. Volunteer at a teaching hospital or a local pharmacy under the supervision of a qualified pharmacy manager or a clinical pharmacist. 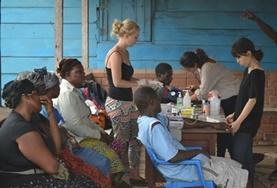 Develop your skills and knowledge on a volunteer Physiotherapy project in a Ghanaian hospital. 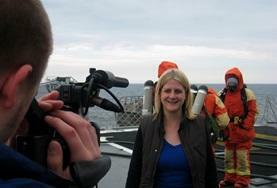 Volunteers work alongside local staff who will be keen to share their experience with you. On this project you will be based on the outskirts of Accra, Ghana s bustling capital city, volunteering alongside local healthcare professionals who will be keen to enhance your skills and knowledge. 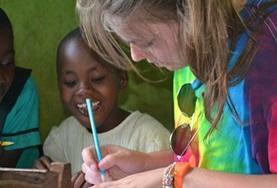 As an intern on this project you will work with children with special needs. You will be involved in helping the children improve and develop their speech and language ability. Intern in Ghana and use your skills and knowledge to work in care facilities and schools alongside a trained psychologist or social worker. 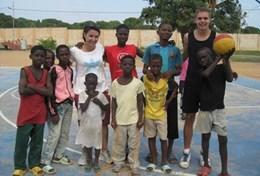 Coach Ghanaian children at a basketball club in Accra. 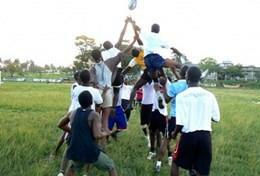 You can take part in planning and evaluating training sessions, coaching players, and helping with team selection. 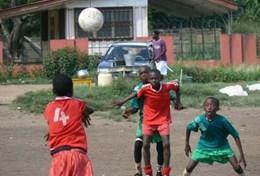 Improve your football skills and ability whilst at the same time helping local children to develop their game. You can get involved in all aspects of a youth academy, including training with a local team. The aim of this project is to get children off the streets and into a safe place in the afternoons by providing them with football and athletics coaching and health education sessions. If you are passionate about rugby this project will give you the opportunity to pass your enthusiasm on to local children. 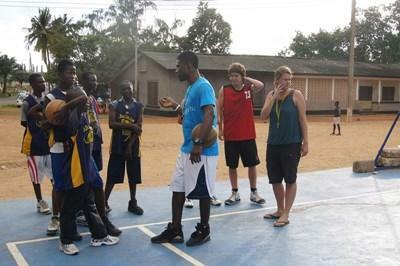 You will work in schools in the Cape Coast helping with all aspects of coaching. 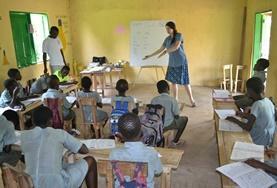 Teach English in this vibrant West African country and work in primary schools that are often poorly resourced. You can expect to take timetabled English classes for a range of ages. 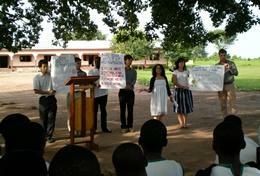 Share your knowledge of IT with Ghanaian students and teachers. You will teach students how to switch a computer on and off, and explain how to use software such as Word, Excel, and PowerPoint. As a volunteer, you can teach French full-time or part-time combined with another subject at primary and secondary schools across the country. 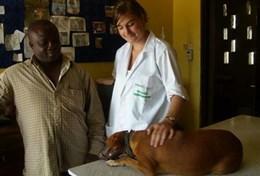 Volunteer in a veterinary clinic in Accra and get involved in administering vaccinations, observing and assisting in operations, laboratory work, post mortems and routine treatments. Take part in an intensive standalone Twi language course or sign up for language tuition alongside your regular placement. 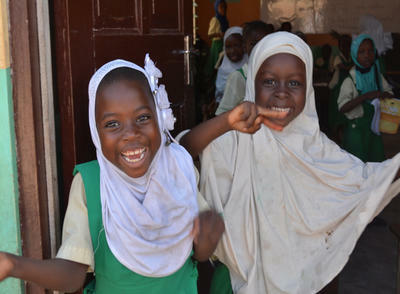 Travel to Ghana and join our Building & Community Middle School Special, helping and learning while under the supervision of Projects Abroad staff. In Cape Coast or the Akuapem Hills, volunteers can have a positive impact by caring for children in care centres or local schools. You can give back by playing games and arranging activities, as well as contributing to the community by renovating and decorating schools and centres. Join our Human Rights High School Special in Ghana and help educate local communities about their rights, while learning about the legal system and culture of this country. 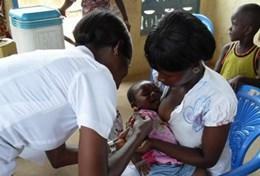 Contribute to community outreach and public health programmes that provide free treatment to disadvantaged people in Ghana. You can also enhance your medical knowledge by shadowing and observing professional medical staff in hospitals. 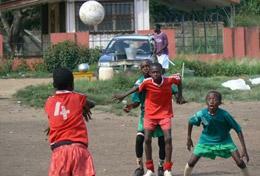 In Ghana, volunteers can make a contribution by coaching soccer, the most popular sport in the country. You will work alongside local coaches to help children develop their skills, increase their confidence, and referee matches. 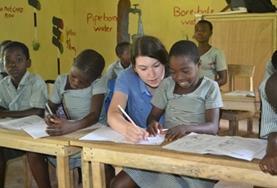 Provide educational support for children in care centres and help them to reach their early childhood development goals. 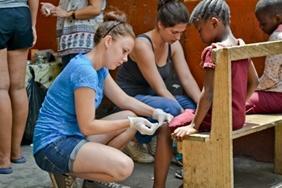 You'll also take part in community outreaches involving basic renovation work. Volunteers on this project will work to provide free basic medical treatment and conduct healthcare checks for those in local communities. 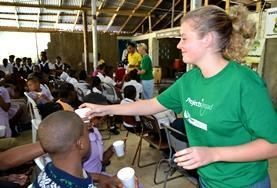 You will also help to educate local people about first aid, hygiene and nutrition. As part of this project you will be working with many groups of people who are in real need of psychological support. 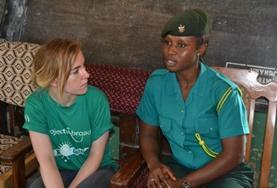 Skilled volunteer's help is needed in order to enhance the care given to these vulnerable individuals. 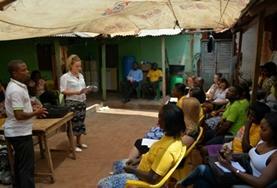 This professional project helps provide legal advice and defends the human rights of communities in Ghana. 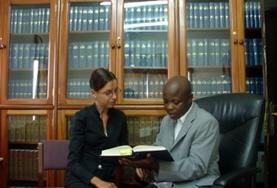 You will be based in Accra at the Projects Abroad Human Rights Office (PAHRO). 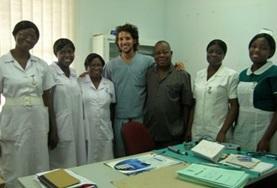 PRO Doctors in Ghana work in hospitals and clinics in one or more of our regions in Ghana. 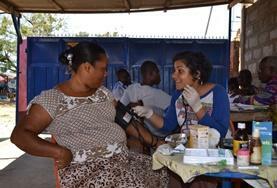 Volunteer doctors may be based in Accra, the Akuapem Hills or Cape Coast. 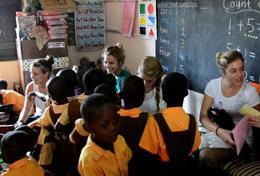 PRO Nursing volunteers in Ghana work at hospitals and clinics in one or more of our regions in Ghana. 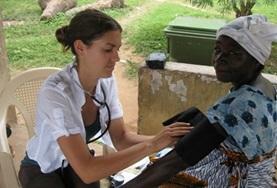 Nursing volunteers may be based in Accra, the Akuapem Hills or Cape Coast. As a qualified occupational therapist you have the opportunity to assist children and young adults who have both mental and physical disabilities. 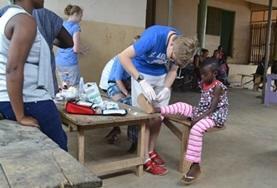 Volunteer as a professional Physiotherapist in Ghana and help provide specialised treatment for children and adults who require care. You can choose to work in a hospital or special needs centre. Professional volunteers on this rewarding project will be helping the development of children at one of the Special Needs schools in Ghana. 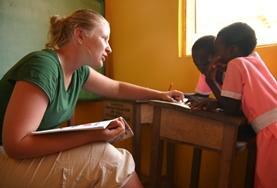 Volunteer in Ghana and help make a difference in the lives of children in a day care centre. You will also contribute to valuable renovation activities in the community. 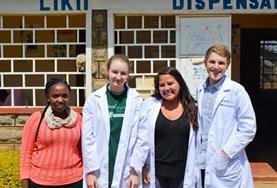 Experience different approaches to medicine and treatments in a developing country and give back through worthwhile outreach work in underprivileged communities.